​Aqua e Vino offers you the intimacy of a Northern Italy boutique restaurant with classic European accents and modern Mediterranean specialties. 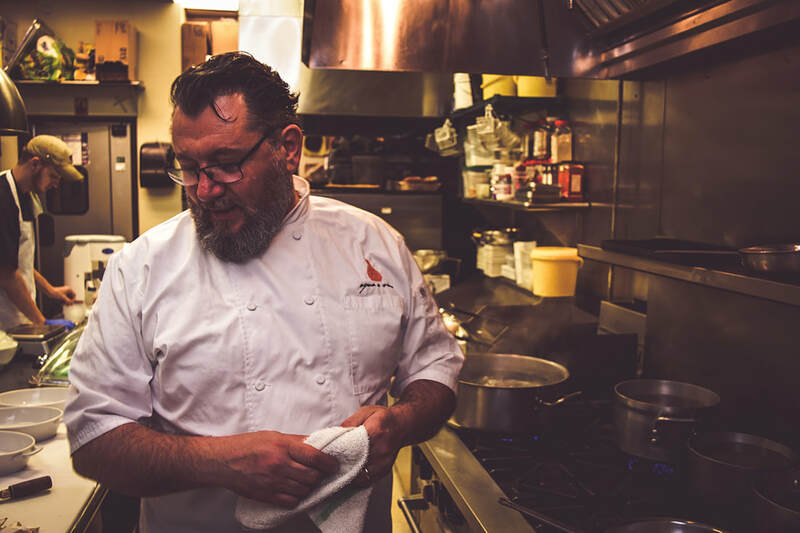 This culinary enterprise is the vision and life long aspiration of Italian born and trained Chef, Gabriele Grigolon. Drawing from career experiences in Milan, Monte Carlo, Paris and the USA, Chef Grigo selects from the freshest local produce as well as global purveyors of rare foods and delicacies not found in the region. Each menu offers you something different that captures the season and the sensibilities of contemporary life in Charlotte. We're also open for lunch Tuesdays through Fridays and serving a menu reflective of our dinner offerings. Join us! SPRITZ: a typical aperitivo from the Veneto region. Santomé, Prosecco, Aperol, club soda and crude 'sysophant' bitters. BIANCO SCARPA VERMOUTH: the Royal Aperitivo from Piemonte. Aged wine with herbal fortified wine made from DOCG Moscato grapes. Join us for a 3-course family-style dinner of antipasti for the table, three choices of pasta, and dolci. We're offering a delicious 4-course springtime menu to celebrate this glorious day. Join us for a 6-course wine dinner featuring wines and cuisine from the CAMPANIA region of Italy. In Italy, there is no substitute for eating fresh. That's why we partner with local farmers to consistently deliver fresh seasonal produce in our menus. No email reservations are accepted.